GivingTuesday marks the opening day of the giving season and this year we are turning to our community for support of YYZBOOKS, the publishing arm of YYZ Artists’ Outlet. 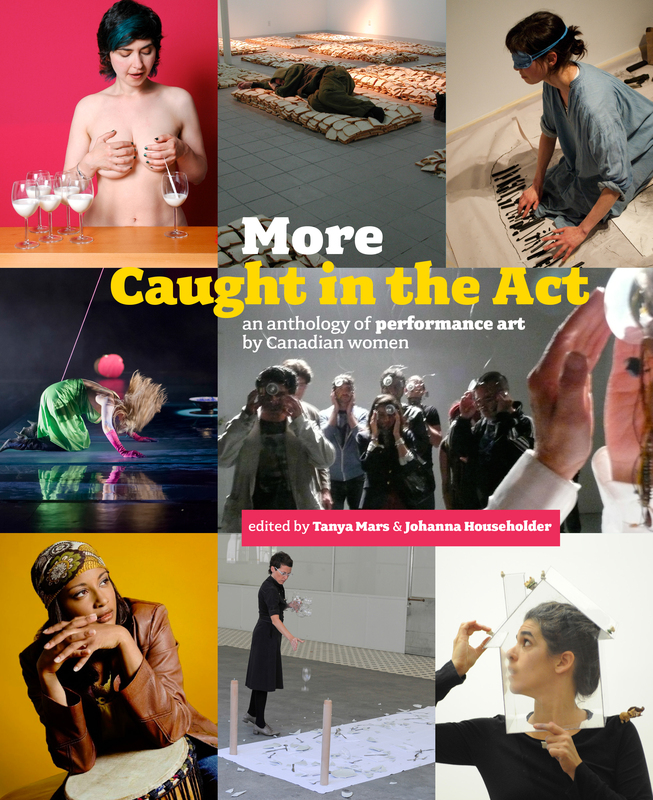 Our goal is to raise $5,000.00 from now until January 01, 2016 to complete YYZBOOKS’ most recent publishing effort titled More Caught in the Act: an anthology of performance art by Canadian women edited by Johanna Householder and Tanya Mars, which it’s eagerly anticipated to launch in spring 2016. Donors’ names over $250 will be acknowledged in the book and any donation over $75 will receive a complimentary copy of the book. The first book Caught in the Act: an anthology of performance art by Canadian women, published in 2005, is Canada’s definite book on the history of Canadian women in performance art. With that volume the Collective endeavoured to recuperate some of the history, artists, and contexts that had never been collected before. This indispensable anthology, now a part of academic, institutional and private libraries across Canada, gave readers first hand access to this largely under-recognized subject in recent Canadian Art History. It provided readers with insight into the profound effects that feminism and women artists have had on the current contemporary art scene. This second volume will include critical writing that places current performance strategies by women artists within broader Canadian art historical and cultural contexts. It will present twenty-eight comprehensive profiles of Canadian women performance artists from across the country, along with five contextual essays written by professionals in the field. MoreCaught in the Act: performance art by Canadian Women is being published in partnership with the Caught in the Act Collective, FADO Performance Art Centre and Artexte. YYZBOOKS plays an integral role in our identity as an artist-run centre. Our mandate is to encourage ideas and critical thinking, and to foster appreciation of contemporary Canadian art and culture by producing challenging yet accessible publications that reach diverse audiences. The ever-increasing costs of publishing have begun to threaten the future of YYZBOOKS, with your support we hope to continue to provide a discursive forum for artists and writers, and to facilitate new avenues of discourse within Canadian publishing.